Drinks giant seeks creative shop for Baileys and Gordon's after splitting with BBH. Diageo, the drinks giant, is speaking with agencies about the advertising account for Baileys and Gordon’s after ending its 15-year relationship with Bartle Bogle Hegarty last week. Diageo had previously said it would handle brand activity for Baileys and Gordon’s in-house for the next 12 months and that no pitches would take place. However, Diageo has now admitted that it is looking for an agency for campaigns in 2016. BBH lost the global creative business for Johnnie Walker – another Diageo brand – to Anomaly after 15 years in December last year. This followed a competitive pitch run by the brand that kicked off in October. 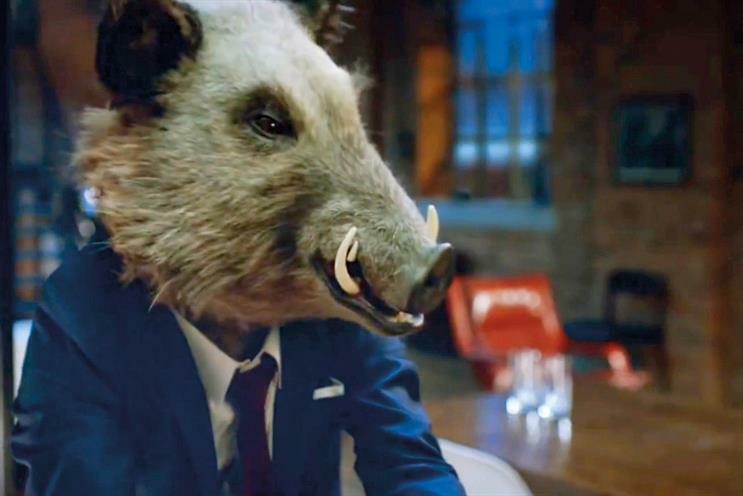 In December, BBH created the "Gordon the boar" campaign for Gordon’s in which a man with a boar’s head dances around his apartment and pours a gin-and-tonic. The £2 million marketing campaign launched on Christmas Eve. For Baileys, the agency used an all-female team to develop the "here’s to us" campaign to encourage women to order the drink when in bars and clubs. The ad, which launched in November, showed women meeting up for a night out and drinking Baileys. A spokeswoman for Diageo said: "We will continue to use the creative assets developed by Bartle Bogle Hegarty which are delivering strong results for us for on Baileys and Gordon’s. "We are in early discussions to find the right agency for future campaigns from 2016 onwards."